AC Milan coach Gennaro Gattuso, has been seen on tape slapping a player for posing with a Barcelona jersey. The 40 year old who was very controversial during his footballing career seems to have taken his tough stance into management. The playful jab was far from vicious but a smiling Gattuso certainly connected with Bellodi’s cheek with some power as he made his way past. 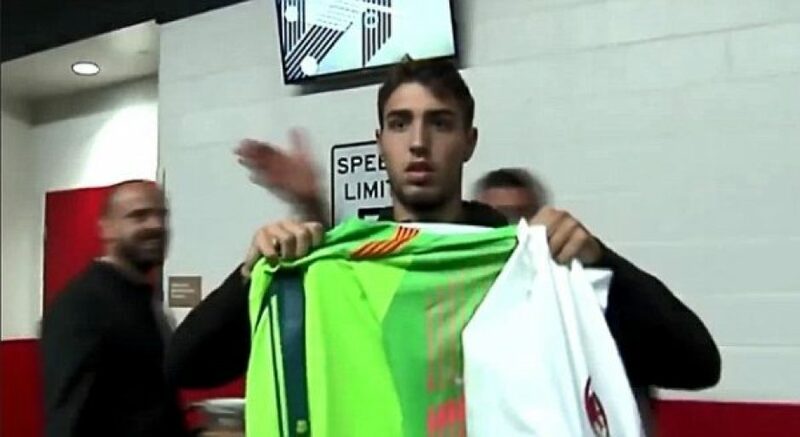 The 17-year-old was holding up a Barcelona goalkeeper jersey to the camera after the two teams met at Levi’s Stadium. Andre Silva, who is now playing for Spanish side Sevilla, scored Milan’s injury-time winner before heading out to the La Liga side on loan. 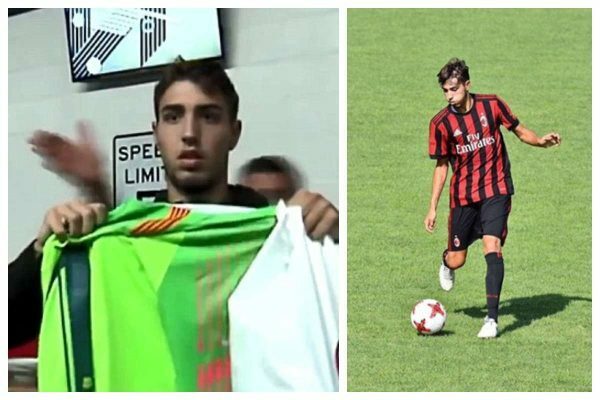 Bellodi has worked his way through the youth system at the San Siro and was given a chance to shine on the club’s US tour this summer. He didn’t feature in any of their friendly matches though and has since been sent out on loan to Olbia Calcio 1905 in the third tier of Italian football. AC Milan have only played one match of the new campaign so far, losing 3-2 at Napoli despite leading 2-0 after 49 minutes.